Made on site solely from grapes grown at Wellhayes Vineyard, Wellhayes Sparkling Wine is a unique blend of Chardonnay, Pinot Noir, Pinot Meunier and Reichensteiner. The 2014 vintage is now sold out for retail sale but will still be available for tasting on vineyard tours and at concerts. The 2016 vintage will be available for sale later in 2019. 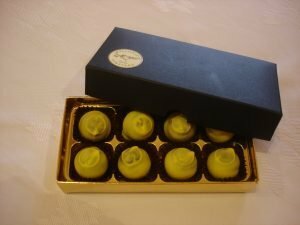 We are delighted to offer two luxury hand made chocolates made exclusively with Wellhayes spirit by an internationally renowned, award-winning local chocolatier. Mouth watering milk chocolate truffles, dusted with cocoa, infused with 14% spirit of Wellhayes Sparkling Wine. Perfect as a gift or an indulgent treat. The liqueur chocolates – or ‘brandy bombs‘ – contain 30% Wellhayes Fire, our own brandy made from Wellhayes Pinot Noir, at a cask strength of 60%ABV. The brandy is encased in dark chocolate which is itself covered in white chocolate, providing an exceptional sensory experience. 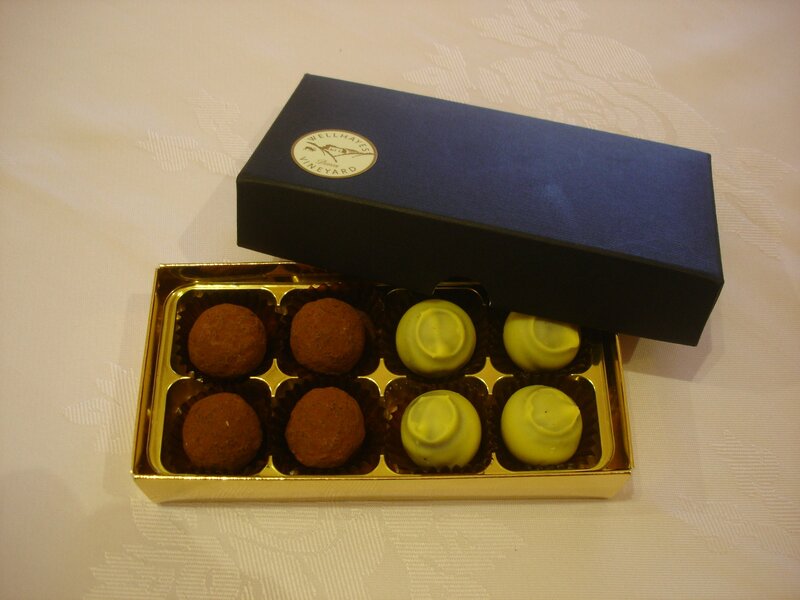 Buy a box of 8 Wellhayes luxury handmade chocolates. 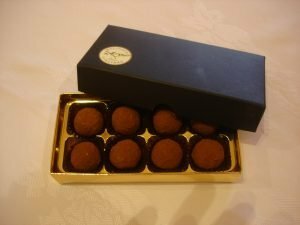 Choose from the Truffles at £7.50 (net weight 88g), the Brandy Bomb Liqueur chocolates at £10.50 (net weight 108g) or a mixture of both at £9 (net weight 98g). A large traditional ballotin of 16 Truffles at £12.50 (net weight 180g) is also available. Simply select from the drop-down menu below which option you require (the difference in prices shown for each option is the difference to the cost of a mixed box). Postage and packing is £4.50 for UK.